Two of my favorite flowers are blooming right now: lupine and columbine. I started both plants as seeds in my first Winter Sowing experiment a few years ago. I didn’t get any blooms the first year, as expected. Last year, the columbines bloomed almost all summer, but the lupines looked like such pathetic weaklings, I’d pretty much written them off. I think I got three scrawny blooms between four plants. 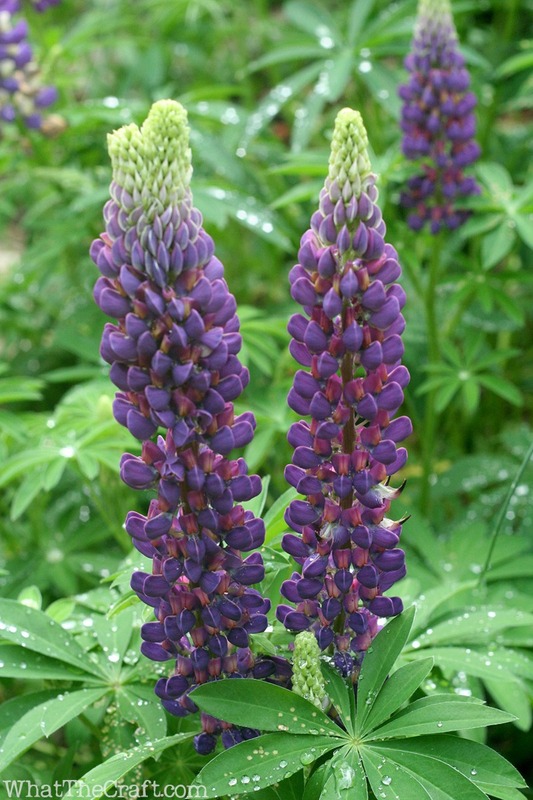 Lupines always reminded me of popsicles when I was a kid. I think it’s the bomb pop-esque shape. Damn it. Now I really want a bomb pop. 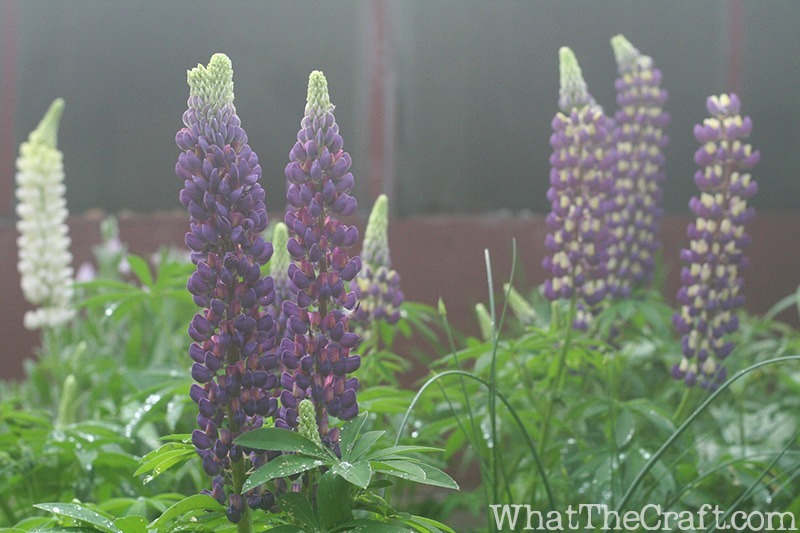 It’s lupine madness. One plant has about a dozen blooms on it! 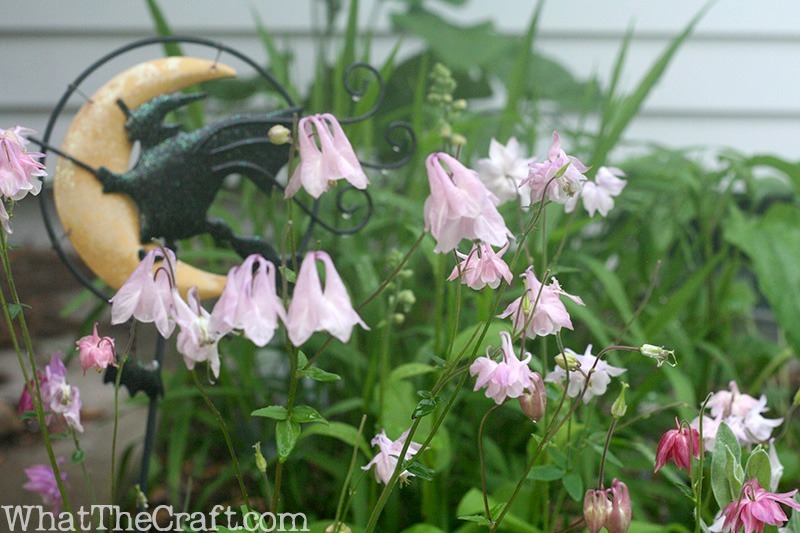 The columbine seeds were from a mix, so I had no idea what color the blooms would be when I planted them… I just happened to get lucky and these four I planted together all came up in shades of pink. Bonus! I think I missed my call when it comes to botany… I could look at garden crap on Pinterest all day long. Not to mention spend a fortune on seeds and plants. I love sunflowers! Lillies are gorgeous too. Stargazer lilies … beautiful and aromatic! Gerberas are my favourite. They always make me smile – they are such happy flowers! The mobile site looks fantastic! I absolutely love the different colors of roses but especially the yellow rose. My favourite flowers are sweet peas and lilacs. Beautiful to look at with lovely scents! My favorite flowers have to be poppies. California or other. Poppies will make them sleep. Haha. Stargazer Lilies are my favorite and the site looks good. Difficult, there are so many beauties, but at the moment it must be bluebells. The woods are aglow with blue this year – magical. Changes all the time hehehe … black petunias are probably my favourite at the moment. Thanks for the give away, your site rocks! Orchids. They are so beautiful ???? The peonies are in bloom here in NY; love to see them! I have 3 little girls & each of them has a birth flower that I designated for them because it caught my eye either during pregnancy or shortly after their birth. Their specific flower is given them for their birthday or special event. my favourite flowers: hard to choose, they’re all so lovely but just this morning picked up some gorgeous bridal wreath spirea and day lilies at the garden club sale and am so excited to put them in the ground! They’ll be the favoured ones this year! Iris – the big German ones with the uprights one color and the lips of the falls (the hanging down part) in another color. My very favorite is called “Batik” since it’s blue with white markings. Gorgeous! For me petunias will always be “the flowers that give a kiss”. My favorite flowers are petunias. So many colors and their fragrance drifts so nicely on the breeze, sweet and romantic. I Love the Clematis, the large purple flower is so breath taking, and light peach and pink roses. I love the passion fruit flower. It looks like this amazingly delicate and intricate flower but is actually easy to grow and lasts for a good length of time. Silly, but I guess it is also a bit of a metaphor on how I would like to be seen as a person: complex and gentle on the outside but in reality, pretty tough. I love irises, my neighbor breeds them so I’ve seen all sorts of varieties. The most spectacular arrangement of flowers that I ever received was irises coupled with peach roses. Stunning. But now I am “into” edibles such as Borage and Nasturtiums. I love Gerbera daisies, cabbage roses and billy buttons. Daffodils! Mostly because my mom always grew them and and I spent most of my childhood mistakenly calling them buttercups. ?(???)? Morning glories and moon flowers are probably my favorites but if I would grow all the flowers if I could. My favorite would probably be the crocus, just for its general tenacity. I love birds of paradise. Your flowers are beautiful! Forget-me-nots. They are my childhood flower and just adorable! Daisies…LOVE them & Sweet Peas because their fragrance is intoxicating! !